There are many free Directories to submit your Blog which helps your Blog to Increase Page Rank and Also Traffic to your Blog. 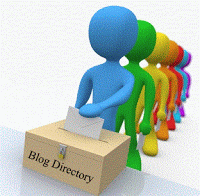 This Directories Network also help in indexing your blog in the different search engines. Main Aim is to Increase your Traffic of your Blog. Below are my favorite Directories which are Free to Join.